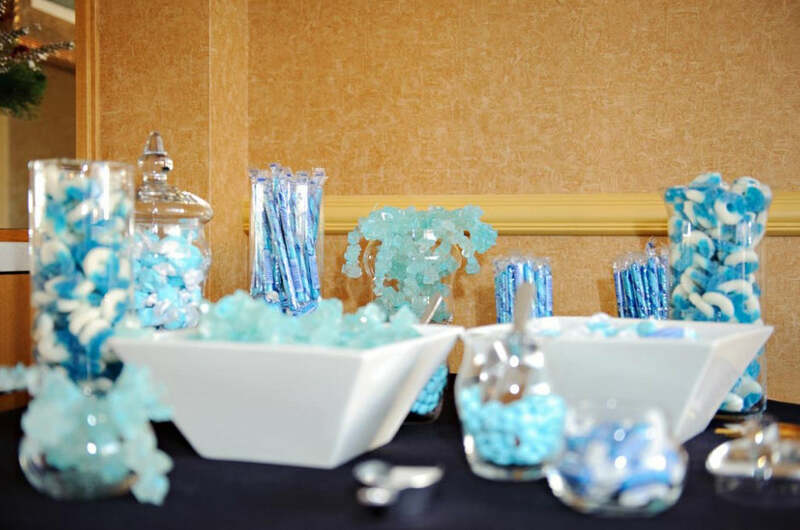 Candy buffets have become a “must-have” at wedding receptions this season – and for good reason. They’re sweet, they’re colorful and they give everyone an excuse to cheat on their diet now that the ceremony’s finally over. However, these buffets can also get expensive when you enlist a professional to handle them for you. So what do you do when you want an awesome buffet but can’t afford the professional help? The answer is simple – you build your own! This week we’re honored to have Annette Hoegner from A Classic Touch Wedding and Events join us to share her secrets of crafting an awesome wedding candy buffet on a budget. Annette has been planning weddings for the better part of ten years now and her work has been featured on the Lifetime network as well as countless other media outlets. She’s a leader in her field and someone whose advice you really should want to follow. So grab a pen and get ready to take notes, because this pro is about to tell you everything you need to know about crafting a candy buffet for your wedding. You can’t have an awesome wedding candy buffet without awesome candy. Here’s what Annette has to say about stocking up on sweets for your reception. Far too many couples make the mistake of purchasing a metric ton of candy for their wedding “just in case.” This isn’t just expensive, it’s also totally unnecessary. To get an accurate measure of how much candy you really need and how much you should spend on it, consider your purchase as a “per-guest” investment. According to Annette, you should spend five to six dollars per pound of candy and purchase about a pound of candy for each guest attending your wedding. A limited color palette makes for a stronger visual theme. 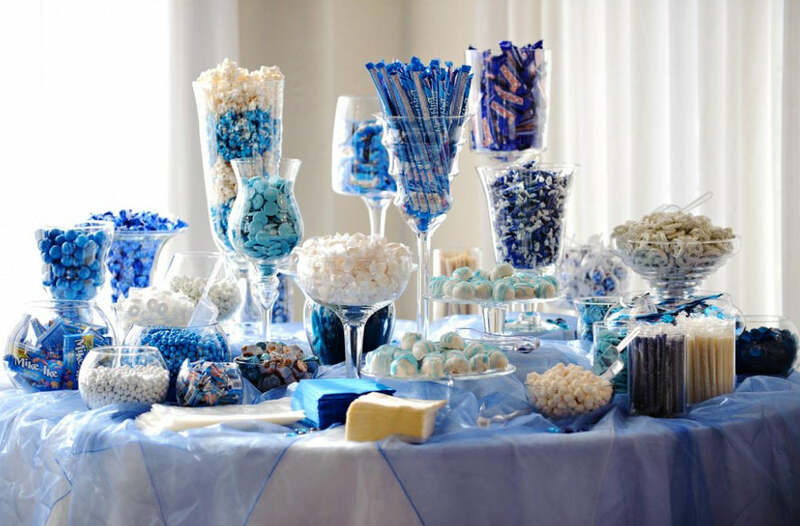 According to Annette, you should try to limit the colors featured in your candy buffet to the same two or three colors featured in your wedding. Adding white as a third or fourth color variation is acceptable, but you shouldn’t use any other color varieties beyond that. Apothecary jars have become the standard for serving candy at a wedding these days. These jars can get expensive, so Annette suggests looking for deals online at sites like Save on Crafts or cutting coupons for local craft stores like Michael’s. Purchasing your candy is only half the battle. Once you’ve got everything stockpiled, you still need to set up and maintain your buffet for the reception. Here’s some advice from Annette on how to ensure that everything goes as beautifully and smoothly as you imagined it. Just because it’s called a “candy buffet” doesn’t mean you can’t branch out to include other desserts. “We added cupcakes and cookies to a candy buffet we recently did and the guests loved it,” says Annette. In general, your cupcakes and cookies should follow the same aesthetic rules as your candy. Try to limit yourself to one or two varieties and frost them in the same colors as your wedding in order to keep the theme of the buffet intact. As the bride and groom, you aren’t going to have time to keep your candy buffet fully-stocked during the reception. While it might be tempting to ask one of your guests to do the honors, Annette recommends assigning a caterer to candy duty or just hiring someone outside the wedding to keep the candy flowing. That way, all of your guests are free to enjoy the reception. When you do finally run out of one or several types of candy, Annette recommends that you “take the empty jars away and rearrange the table to look appealing as possible.” This will keep the buffet looking picture-perfect even as your inventory dwindles down. Give Annette a Shout Out! We’d like to thank Annette again for all of her “sweet” advice. Make sure to follow her on Twitter at @annettehoegner and check out her company, A Classic Touch Wedding & Events for some examples of her excellent work. If you have any other questions or advice regarding wedding candy buffets, let us know in the comments below! We’re always happy to help out our readers and we’d love to hear what tips and tricks you’ve used to plan your wedding candy buffets.